Bonus: Discover five of the best foods to keep frozen year-round at the bottom of this page. Frozen foods have a serious stigma. Many people think of them as processed junk, full of nasty ingredients or just plain ‘yuck.’ But the foods that reside in your freezer can actually be a healthy lifesaver in a time crunch. If you’re skeptical about frozen foods, we’ve got five reasons why you should reconsider them. Save time. I’m a huge advocate for ditching the take-out and cooking from scratch. With that being said, I’m also realistic about how much time is required to make a homemade meal for breakfast, lunch and dinner. When you’re in a time crunch and don’t want to wait for (or spend the money on) a restaurant meal, a well-stocked freezer can be your saving grace. 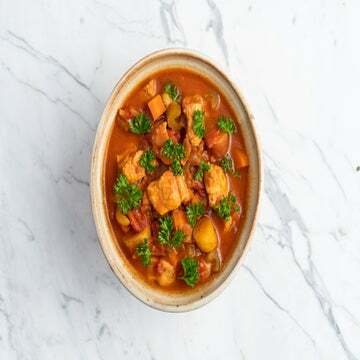 Whether it’s a frozen meal, frozen veggies that you can throw into a stir-fry or frozen fruit for a smoothie, those ingredients eliminate the prep work and may even be healthier than if you were to order off Seamless. Save money. Don’t we all like to save money for running sneakers, new running clothes and race sign-ups? I know I sure do! But most runners also know that eating healthy is key to running at your best. How can you balance the need to buy costly produce with the desire to spend on fun accessories? Frozen foods are much cheaper than fresh, especially when it comes to produce. And you don’t lose any nutrients by buying this way (more on that later). If your go-to meals usually have cooked veggies, then sub in frozen for fresh. You won’t be able to tell the difference in the final dish, and your wallet will thank you! Eat out of season. There’s no rule that says you can’t buy blueberries or cherries in the dead of winter, but there’s also no reason that you should. Not only do they taste bad, they will cost you an arm and a leg. But there is an exception to that rule—frozen produce. It’s good all year round, making it an economical and tasty way to eat out of season. It’s good for you! Fresh produce needs to be picked, processed, packaged and transported before it reaches your supermarket. During that process, it loses nutrients. Frozen produce is picked and frozen immediately, sealing in all of the peak nutrients. Both fresh and frozen product is excellent for you, but one study compared the nutrients in eight different types of fresh and frozen fruits and vegetables and found that, in some cases, the frozen veggies contained more nutrients than the fresh. Frozen food lasts forever. Technically, frozen food is safe to eat indefinitely. There are some exceptions to that rule, like freezer-burned food or raw meat that has changed color. But if you’ve got an unopened bag of frozen fruits or veggies in your freezer for a year, it won’t go bad! Hopefully I’ve convinced you to give frozen foods a try. As a starting off point, here are five frozen foods every runner should have on hand. Frozen bananas. I’m terrible at buying bananas. They are always either green or brown, and I rarely get to eat them when they are ripe. That’s why I’m a big advocate for freezing bananas once they have ripened. They make a great addition to smoothies, but make sure you peel them before freezing. I’ve learned that the hard way! Frozen edamame. This is one of the easiest protein-rich snacks around. Buy frozen edamame pods, stick them in the microwave for one or two minutes, sprinkle with salt and eat fo post-run recovery. Frozen berries. 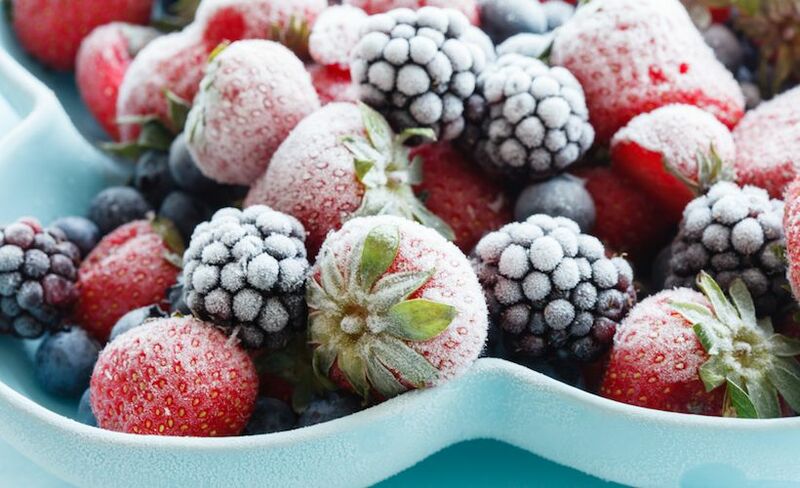 As you now know, frozen berries taste good all year round, even when they aren’t in season. They are rich in antioxidants and make a great addition to a post-run smoothie. Dr. Praeger’s Huevos Rancheros Breakfast Bowl. On the weekends, I run in the morning and eat a large breakfast afterwards. After a long run, the last thing I want to do is cook up a big meal, so I reach into my freezer for one of these bowls. It has 14 grams of protein and tastes like a Mexican fiesta! If it was a really strenuous run, I will add an extra egg to the bowl to round it out to an even 20 grams of protein. But even if I don’t have the time, this hearty bowl is full of protein and fiber to keep me full all morning. Trader Joe’s Veggie Fried Rice. During the week, I run after work and don’t always feel like cooking a full meal afterwards. That’s when I add this veggie fried rice to my meal. It cooks in less than two minutes and is full of veggies and tasty rice. 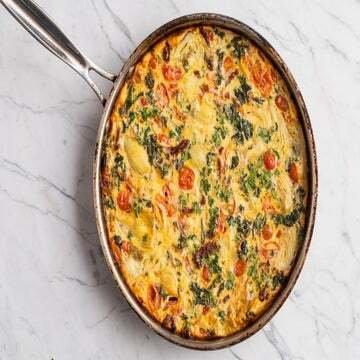 Pro tip: Add some frozen edamame to this for some much-needed protein!